I wake up on a weekend morning and I think to myself, I need to watch a film. I need something light and fun, the type of picture that puts an extra bounce in my step to carry me throughout the day. 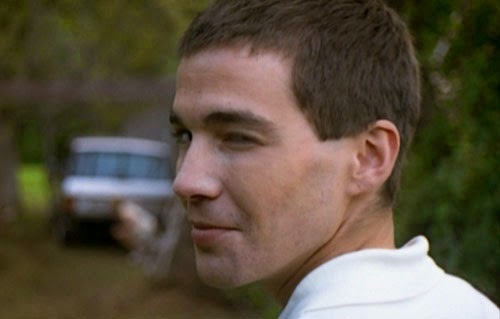 A highly regarded film by Michael Haneke called Funny Games? Sold! This is a painfully brutal movie, one that tells the story of a nice, photogenic family on vacation at their cabin and then everything changes after a young man comes to their door and asks if they can borrow some eggs. 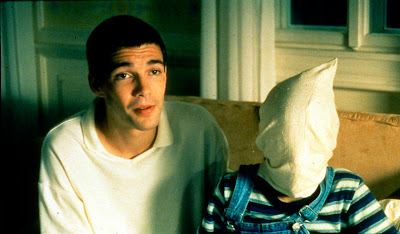 It's harrowing stuff and while I admire the fact that on so many levels the film works the way it should, as my eyes were glued to the screen and I truly felt the pain of their experience, I would be lying if I said I "enjoyed" Funny Games. I didn't. It lingered in mind throughout the rest of the day, which in this case in not ideal. I understand and appreciate what Haneke was trying to do here, to make a statement about the way violence is portrayed in society and the inclusion of the character of Paul breaking the fourth wall and addressing the audience was clever and interesting, but I still have to separate the two sides of the equation and weigh the quality of the craft against how I personally felt about the whole thing. I still don't feel quite right. A good film that I will likely never watch again. I agree with you on two of the three. I really think the Fincher Dragon Tattoo is far superior to the original.